Life’s greatest happiness is found in good relationships, and life’s deepest pain is found in bad relationships. If you feel loved by your mother, then the maternal relationship brings you feelings of comfort and encouragement. On the other hand, if your relationship with your father is fractured, you probably suffer feelings of abandonment. Many single adults have felt unloved by one or both parents. 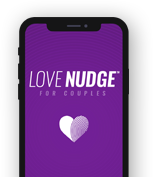 In my book The Five Love Languages: Singles Edition, one of the ideas I discuss is how understanding the five love languages can help singles establish or re-establish a more positive relationship with parents. Love holds the greatest potential for healing the past and creating a better future.